KEY QUESTION: How are places represented by the media? Local newspapers are a useful and thought-provoking stimulus for exploring the question: Where do we live? They cover different aspects of life in a town, village or city, and usually an edition will contain local issues that young people can explore. Taking local headlines on their own and discussing them is a simple and easy way to have deep conversations about the issues themselves, the ways in which they are being presented by this newspaper, and how the language contained in the headline achieves this. These discussions and any activities based on headlines will allow a class to reflect deeply and critically, to enhance their understanding of language, all through the stimulus of a few words. For this activity you will need multiple copies. Usually six copies of a newspaper (even a free newspaper like the Metro) will be enough for everyone in the class to have a section. Give the class the opportunity to flick through, and read for a little while, before they begin to identify articles and headlines to discuss. Note: Do check the content of the newspaper in advance to ensure it is appropriate for your group. The following headlines are taken from the Ashbourne News Telegraph in Derbyshire, (Wed, March 17 2010) and the South Manchester Reporter in Manchester, Cheshire (Thurs, March 18 2010). 1. Give headlines out to small groups, one per group, and ask them to discuss what kind of place the headline seems to be about. When they present back to each other, there may be a range of views about the place (or places). 2. Show the image of a jigsaw, and explain that each thing we learn about a place could be one piece of a large jigsaw, that may never be completed, because there is always more to learn. 3. As a class or in groups, see if the headlines can be organised into categories or groups, based on the issues that are being discussed. Does it work to simplify the headlines into ‘good news’ and ‘bad news’? Why might this not be a great idea? 4. Ask pupils to discuss what the subheading or opening sentence of each article might be. 5. Explore as a class how easy it is to guess which headlines may be about the city of Manchester, and which about the Derbyshire town of Ashbourne. How do you guess, and what might make you wrong? 6. How does a paper local to the school compare to the news headlines above? 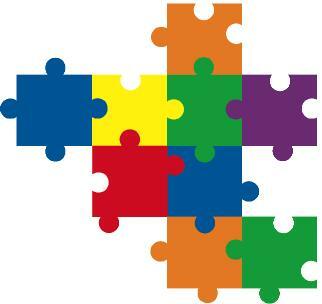 What jigsaw picture does a paper local to the school give of the area? Do the headlines give an accurate or complete picture? What else would we say?